The best advice we've ever given! Can you imagine not being able to swim? Not being able to enjoy the vast oceans and lakes on this beautiful planet? 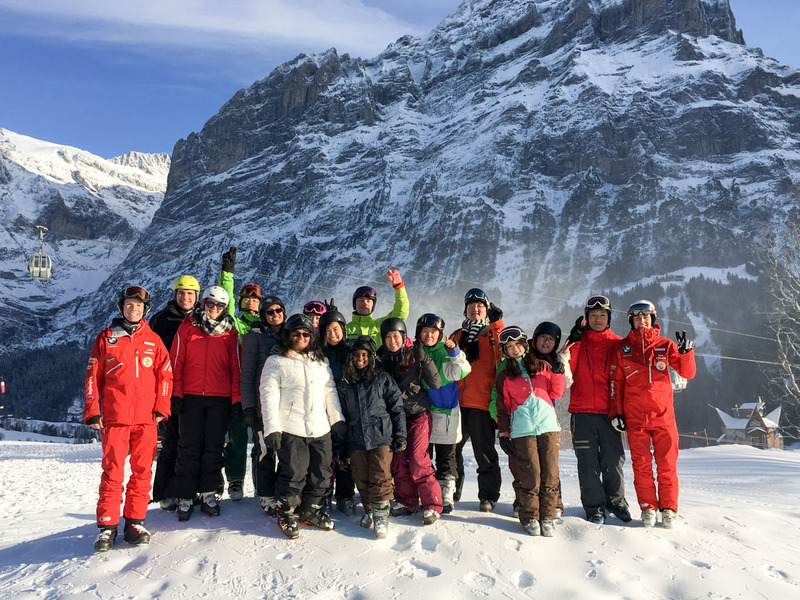 The same goes for getting into the mountains and learning to ski… we need to develop certain skills and awareness to enjoy this incredible part of our earth. Skiing is one of those skills! The wild nature of being amongst enormous mountains can be intimidating. As your skills progress, you will start to explore further into the mountains. You will build confidence and experience places many never even dream of! For a lot of people, learning to ski can be scary. We hope the following information will help you can feel confident and ready to learn to ski this winter! We’ll go through the learning process from what to wear to what to expect during a lesson and everything in between. Don’t need all the details? Jump ahead! Learning to ski can be challenging, and like most skills takes years to master. However, if you have the right preparation you can pick it up much quicker, and enjoy your time on the mountain that much more! Let’s get familiar with the gear before you head off… that way it’s one less thing to learn once you’re there! If you’re not living on the mountain or taking regular ski trips, it’s generally best to rent your gear from a specialist ski store. There are however some items that can be purchased for little money that you may benefit from having in your hometown as well. Skiing is an active sport. You’ll get warm even when it’s well below freezing outside so you need to regulate your temperature and when it comes to clothing, layers are the key! First (base) layer – The baselayer is your foundation for warmth, providing light insulation and wicking away perspiration. It’s always best to have natural fibres such as wool against your skin. This will help keep the moisture away from your skin but also be breathable. Natural fibres also have anti-bacterial properties to keep your clothes smelling fresh for longer! Second (mid) layer – In moderate temperatures or if you tend to get hot easily, a lightweight midlayer is the perfect, versatile option. If you are always cold, or you’re going somewhere particularly cold then an insulated midlayer is your friend. Third (outer) layer – The outerlayer protects you from the elements. Choose a waterproof-breathable material for optimum happiness. Hat – we lose a lot of heat through our head so it makes sense to get a good ski hat. We’d recommend getting something from a specialist ski store when you arrive as they will have the most suitable types for the area. Gloves – who loves cold hands? Absolutely no one! We have veins close to the skin around our wrist which results in increased heat loss. Let’s keep those wrists and hands wrapped up nice and warm with insulated, waterproof and breathable gloves. Socks – a sure way to ruin your day on the mountain is by getting cold feet. This is another item we would recommend getting from the local ski shop when you arrive. They can advise you on the best socks for the current temperature, and they’ll last you long time! Goggles – Not only do they help keep your face warm, they also serve an important role in protecting your eyes from the sun. 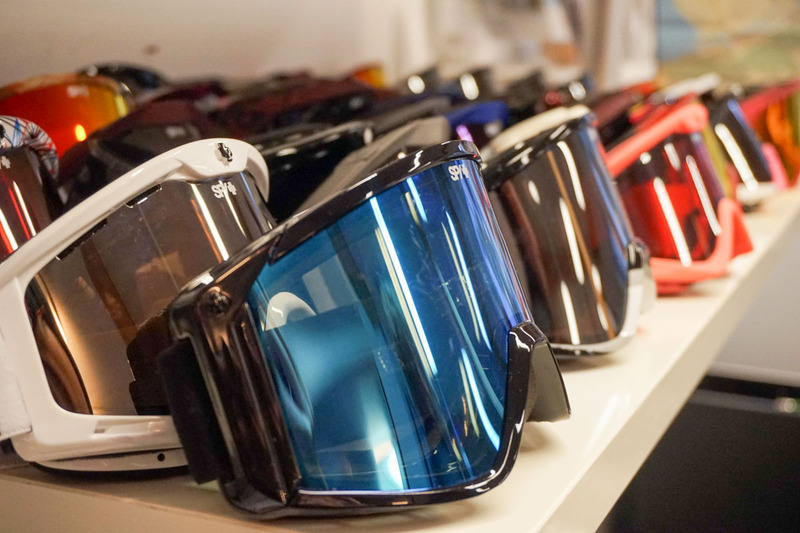 The local ski shop will have a range of rental goggles to choose from. 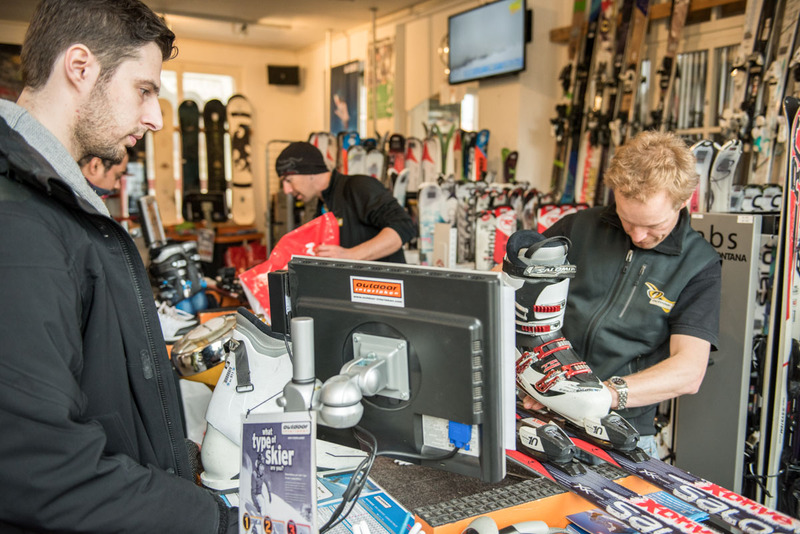 Boots – When renting ski boots, unless you are an experienced skier, it’s best to leave everything up to the shop assistants. They are highly qualified professionals who most likely ski in the area and will be able to sort you out with the best boot for your ability level and current conditions. All you need to do is be honest about your ability level and they’ll do the rest. Take your ski socks with you to the shop and try not to wear tight pants, you’ll need to pull them up over your calves to get the boots on. Try both boots on and make sure your toes aren’t hitting the end of the boots. They should be snug around the calf and foot without bringing tears to your eyes. Skis – Again, unless you’re experienced and know what you want, leave it up to the pros. You’ll be asked for your height, weight and skiing ability so it would be good to have this information when you arrive at the rental shop. If you don’t know, it’s no problem, they will weigh and measure you in the shop. Be honest about your ability to the technical staff, it’s for your own safety. For example, a beginner will have different binding (part that you put your boot in, to attach you to the ski) settings to an advanced skier. They need to be adjusted correctly so that in the event of a fall, they release to prevent injury. This setting is based on your weight and skiing ability. Ski Poles – The crew in the store will help you here also. The general rule of thumb is to flip the pole upside down, hold the pole directly underneath the basket (plastic section at the bottom of the pole that stops the pole going too deep into the snow). Your elbow should be roughly at right angles (90 degrees). If you go to a professional shop, you won’t get ripped off… it’s in their best interest to ensure you have a great time on the mountain. So they will only give you gear that is most suited to you (not necessarily the most expensive). There are basically two types of ski lesson. Private and Group. We personally believe as a beginner a group lesson is the way to go. It helps to see how others are doing it and when that team spirit kicks in your learning accelerates. Group lessons will also cost you less. As you progress, and if you can afford it, one or two private lessons are worth doing to really focus on certain aspects of your skiing. Once you have the basics down, you will learn very quickly with a good instructor one-on-one. 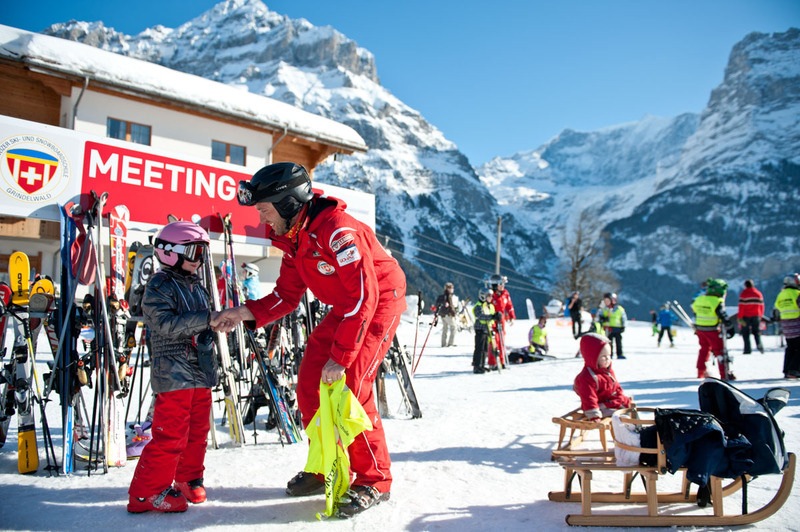 How much time is good for a ski lesson? This will depend a lot on your stamina but go for at least 2.5 hours and if you think you can handle 4-5 hours (full day)… do it. If you’re in town for more than a day or two then a good way to go is to spread out multiple lessons over a few days. Try and spend 2 – 2.5 hours each day. This will get you to a level where you have the basic skills needed to get down most slopes with your skis on! Let’s presume you’re taking a group lesson with some other first time skiers. First things first, meet your instructor! It’s great if you can feel comfortable with the person you’re trusting your safety and enjoyment with so ask questions, get to know them! There are many different levels of an instructor, and they all go through the same training, so you will be given an instructor best suited to your level. Always keep the tips (front) upwards and when you are standing still, rest the tail (back) on the ground. Your skis have brakes, these serve two purposes. To keep the skis together when carrying and to stop your skis sliding away on the snow. Short distances (under 100m), just pick the skis up in a vertical position by the front of the binding and go for it. Longer distances. Place the skis on your shoulder. Be careful there is no one behind you when you lift them up, and always take care when turning around. You now have a solid object swinging around ???? Next up… getting those skis on your feet! 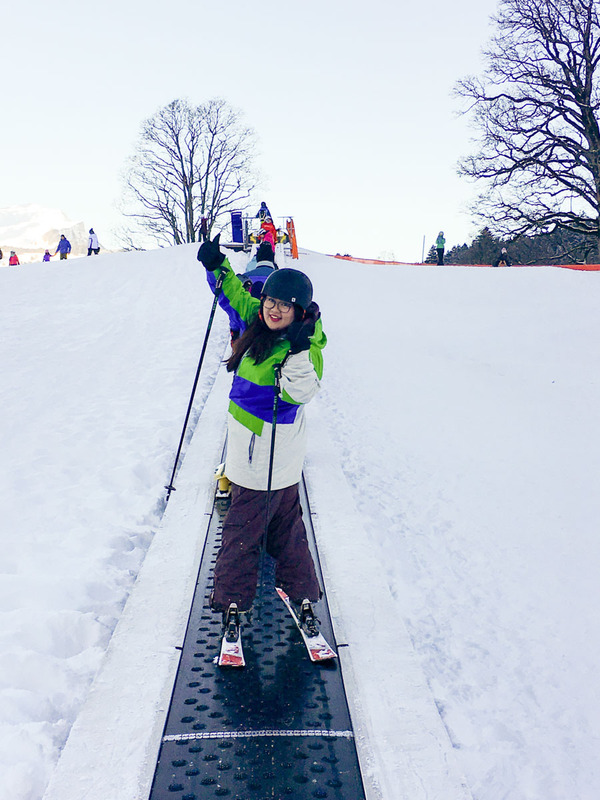 If you’re a first-timer, you’ll be taken to a beginner slope. They have a slight angle and are very forgiving. Attaching your boot to your ski requires a getting your boot into the binding. Bindings – situated on the top of the ski, they are designed to hold your ski boot securely. The front of the binding can twist sideways to release your foot if you fall. The back clamps the back of your boot down and holds everything in place. Brakes – the bindings have brakes. These do not slow you down while skiing, they are designed to release in the event of a fall and will prevent the skis from running away without you. Each ski will be put on one at a time. Keep your skis close to you, if you have to stretch your leg sideways they will be harder to put on. Use your ski poles for balance and place the front of your boot into the front of the binding. Then checking to make sure the back of your boot is over the rear of the binding, slowly push down until it clicks into place. Leaning back while pushing down can help. Well done, you’re in!! Repeat for the second ski. Take your skis off again, just so you know how to do this. You can use your ski poles to push down on the lever at the rear of the binding whilst pulling up with your heel. you’ll walk/slide around a little on the flat ground before getting on a conveyor belt that takes you to the top of the bunny/nursery/beginner slope. We’ll leave the rest up to your instructor, everyone has different ways of teaching, which we can’t possibly cover in this post. Have fun with it and if you’re unsure of anything, just ask! Your instructor would love to see you succeed so will help in any way possible. Falling is part of the process of learning, we all go through this and it’s important for you to learn the limits. It also makes your friends smile, so do the right thing, fall often! haha When it happens, just relax, go with it and enjoy the journey Once you’re lying on the beautiful snow, the first thing you should do is gaze at the blue sky… no, don’t do that, unless you’re in a safe place. Otherwise, it’s best to get back up! Shake off the snow, gather yourself and try again… you’ll get it! The most important thing to remember is to smile and have fun. Encourage others around you and together you’ll learn how to slide those planks around the mountains in no time! The good stuff! Here’s how you save some cash and get on the fast track to learning how to ski or snowboard this winter. Outdoor Interlaken is your one-stop-shop for everything! You can rent all your clothing, boots and skis or boards. Buy socks and beanies, line up your ski pass and instructor, as well as get local knowledge on conditions and how to get the most out of your time on the mountain. 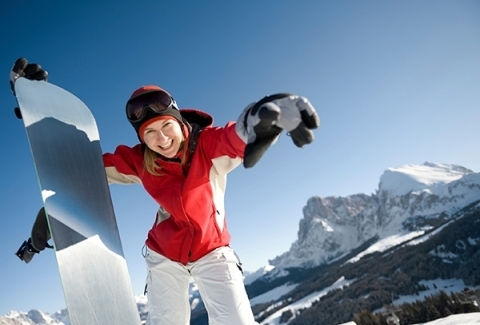 An all day package especially for first-time skiers. An all day package especially for first time snowboarders. An all day package especially for families or groups of friends. 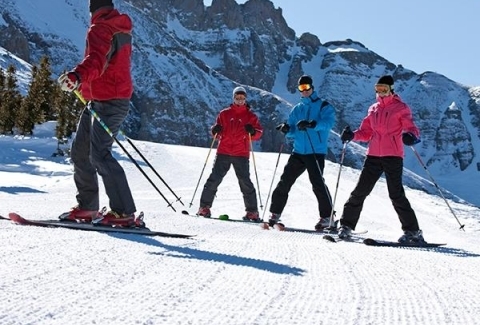 An afternoon lesson package especially for first-time Skiers. An afternoon lesson package especially for first time snowboarders. By now, hopefully, you’re super excited to get onto the mountain and learn to ski or snowboard this winter! 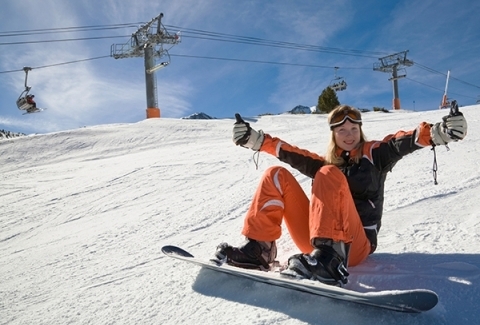 Learning to ski or snowboard is a rewarding experience even if you don’t spend much time on the mountain in the future. You’ll learn a few things about yourself and your surroundings as well as meet some like-minded people. All the best and good luck out there!